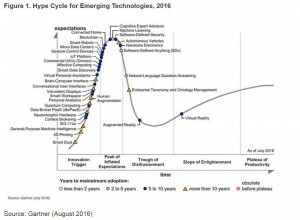 Augmented reality (AR) and virtual reality (VR) are potentially disruptive technologies. They will change how we are entertained, learn, communicate, socialize, and generally experience the world. 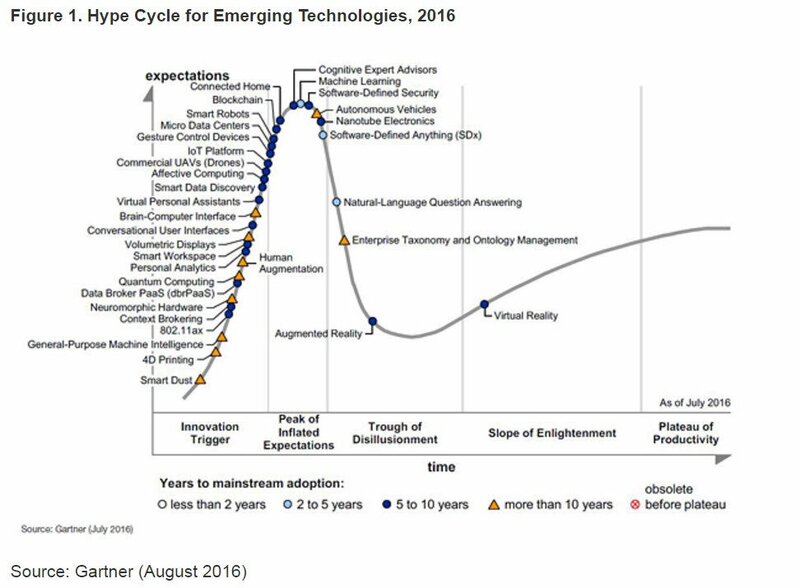 As you can see (if you click on the image to expand), both AR and VR are currently at a low point on the curve. This is because the hype has created higher public expectations for the product than the industry can deliver. 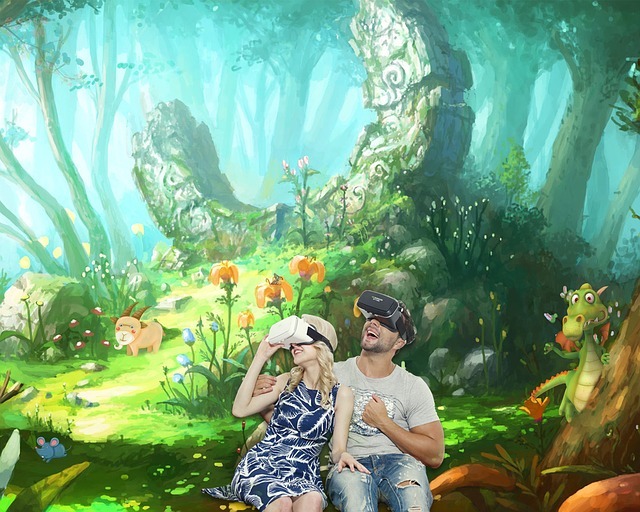 But let’s assume for the moment that AR and VR truly live up to their potential. Will they be readily adopted in schools, colleges and universities to teach science? I hope so. The possibilities are exciting. There are many hurdles (school admin and teacher engagement, cost and availability of equipment) but as with most technological innovation, adoption usually follows if given enough time. But there are two aspects of using this tech as an educational vehicle for science that merit discussion. First, if these artificial worlds become as addictive as have our mobile devices, will people not crave the virtual environment to the exclusion of real-world learning? Personally, as a biologist, my hope is that these new tools for scientific discovery by the public will ultimately inspire people to take a real-world walk through a botanic garden or a stroll through the woods, or even consider biology as a career. The tools will hopefully augment, not detract, from real-world science appreciation and experiences. Second, as use of the tech becomes commonplace, will students eventually get bored? “Think I’ll skip biology today… we’re just going inside another cell again”. I think the developers creating the apps for VR and AR science education will be the people who continue to get the most excited… after all, we are the ones who must research these worlds, intimately understand and appreciate the science, and then present it in a graphically-stunning manner, as a game or otherwise. (A riveting soundtrack doesn’t hurt either.) Maybe one way to maintain engagement would be to come up with ways for students to create their own worlds. They do the research, put it all together, and then share with the class or on social networks. I see a use for machine learning algorithms here. Intelligent apps that facilitate the player (student) becoming the creator. This entry was posted in Science on October 15, 2016 by david. Can video games make a better world? So what’s a sunfleck anyway?